Bullying has emerged as an important public health issue prompting the need for effective prevention measures and interventions in schools and community settings. Significant long-term implications for victims of bullying include mental trauma, decreased school performance, and in extreme cases, suicidal ideation. Children with special health care needs may be at increased risk of being bullied. People who bully can also experience negative health outcomes that may last into adulthood, such as substance abuse and domestic violence. The Arizona Department of Health Services (ADHS) recently developed a campaign called “Must Stop Bullying” to help educate the community about the effects of bullying. The purpose of the initiative is to raise awareness and educate Arizona children and parents about what bullying is, why it is important to stop, and how to stop it. The campaign features information for children and parents to begin a discussion on how to address and respond to bullying. In 2018, the campaign included a contest with the Phoenix Mercury for Arizona students to develop videos about the effects of bullying and prevention strategies. Deadline for submissions: May 10th by 11:59 p.m.
For full contest guidelines and to submit your comic, visit the Must Stop Bullying website. 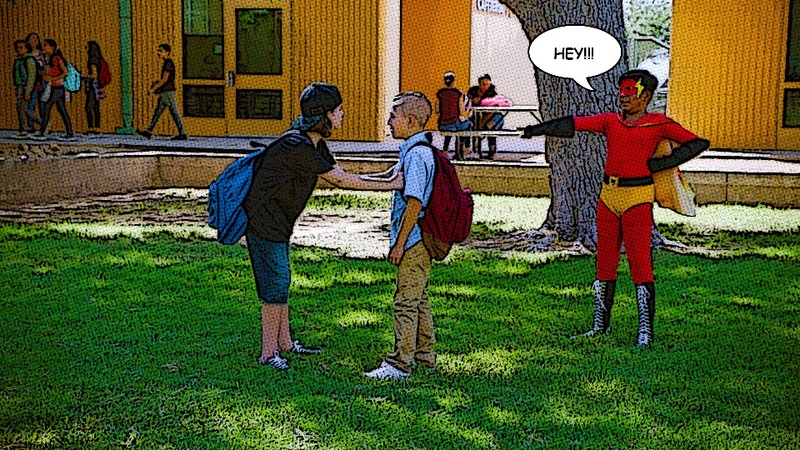 We look forward to the comic strip submissions that will teach more kids in Arizona how to prevent bullying.